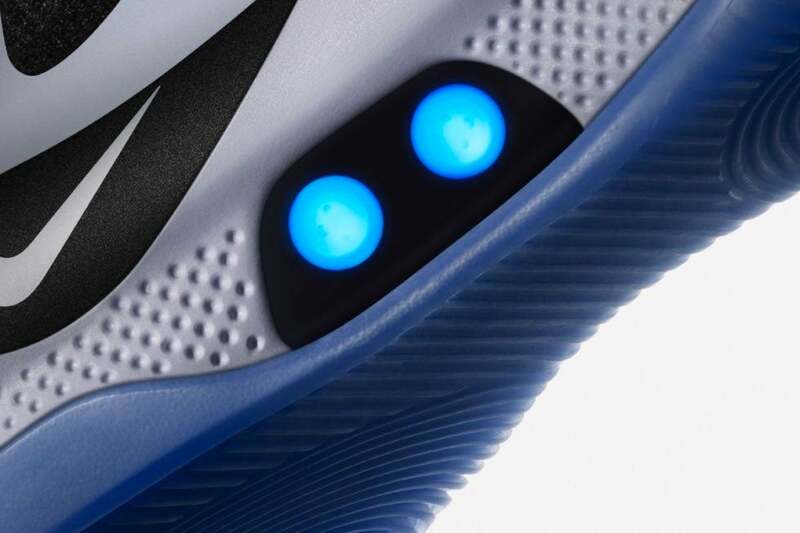 With the companion Adapt mobile application, players are able to input different fit settings over the course of a game, as well as change the LED colors on the sneakers. The other benefit to having wireless connectivity in the Adapt BB is that it will support firmware updates, which means it is expected to get extra features and improvements down the road. For instance, Nike says it's working on a way to give NBA players different tightness settings for warm-ups, and they'll be able to opt-in to these updates to get them as they become available.